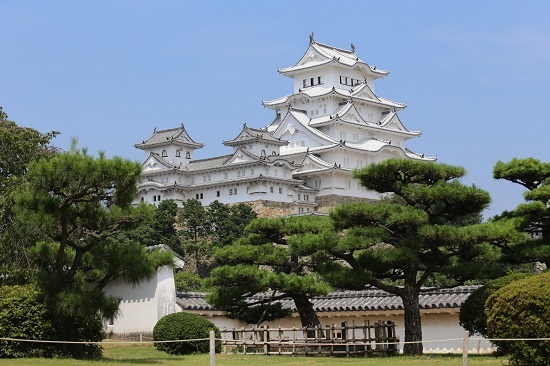 Himeji Castle - Japan's national treasure as well as a UNESCO world heritage site. 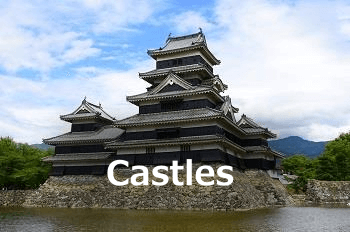 TOP»Castles»Himeji Castle – Japan’s national treasure as well as a UNESCO world heritage site. 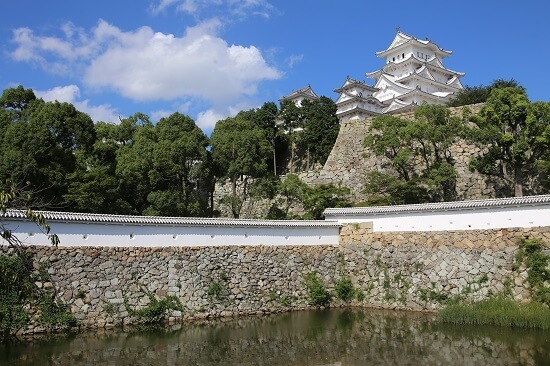 Himeji Castle – Japan’s national treasure as well as a UNESCO world heritage site. 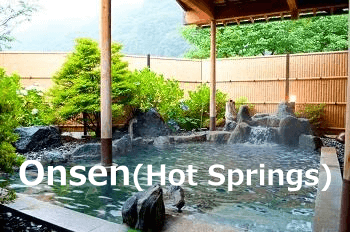 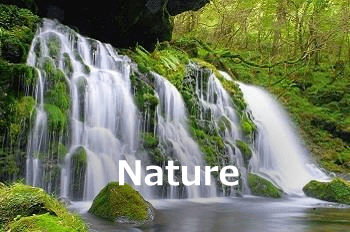 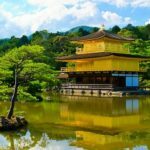 Japan has four distinct seasons and you can find the different beautiful scenery for the tourist attraction in each season. 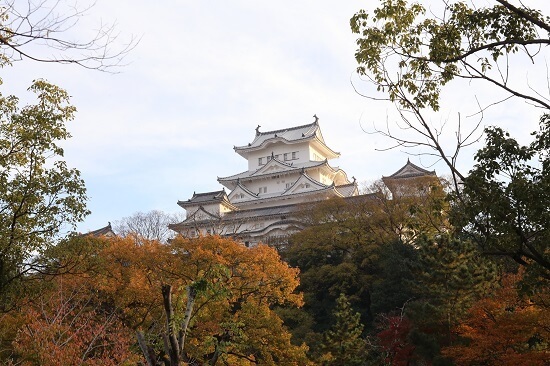 As our third article of “Four Seasons Series”, We will introduce Himeji Castle, designed Japan’s national treasure as well as a UNESCO’s world heritage site, attracts many tourists throughtout the year. 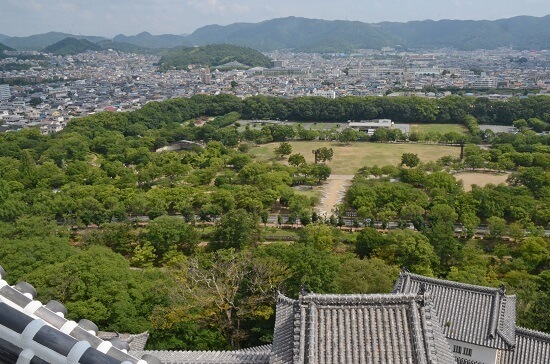 Himeji Castle(姫路城) had been built in the middle of the 14th century, and additionally the three-tier castle tower was built by Hideyoshi Toyotomi in 1580 for a base of battles against federal lords ruled the western region of Japan. 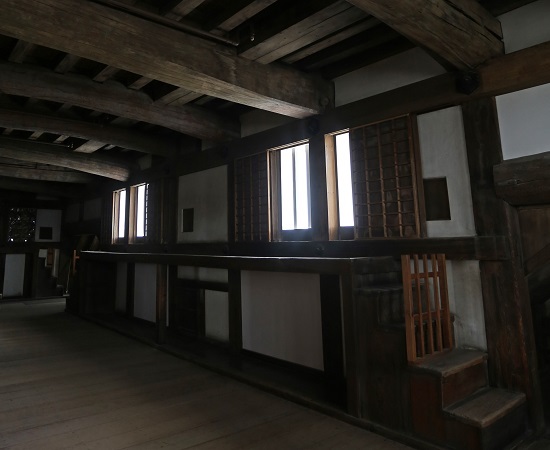 When Terumasa Ikeda became a federal lord of this castle after the battle of Sekigahara, he made large-scale renovations of the castle with five-tiers and six-floors over 8 years since 1601. 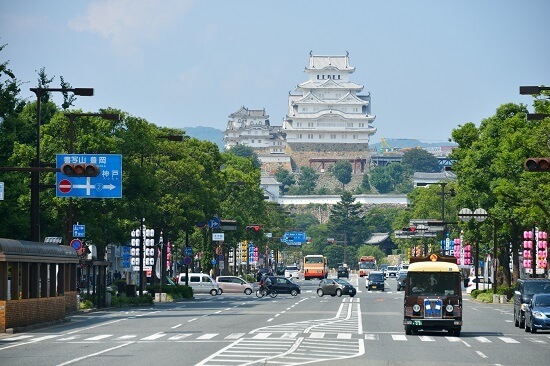 In 1993 Himeji Castle was designed as a UNESCO world heritage site for the first time in Japan, and 8 buildings including castle towers are also designed as a Japan’s national treasure. 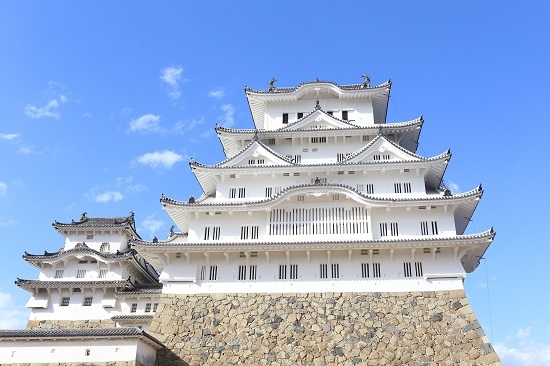 It is known as “White Heron Castle”since the castle towers with white painted castlewall lining toward the sky look like white herons spreading its wings. 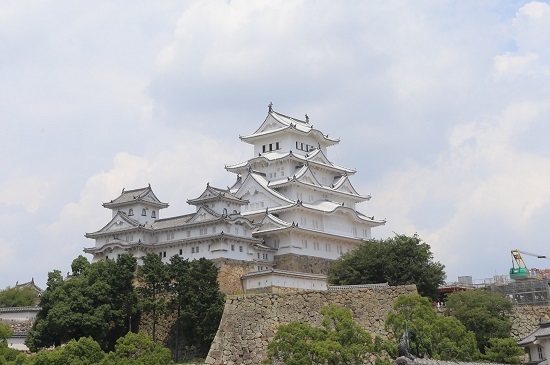 Heisei Renovations, which outer of castle towers wall was repainted using white plaster and roofing tiles were newly changed, had completed between 2009 and 2015. 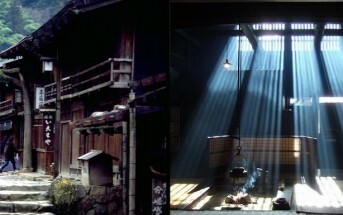 You can compare it before and after the big renovation by the following pictures. 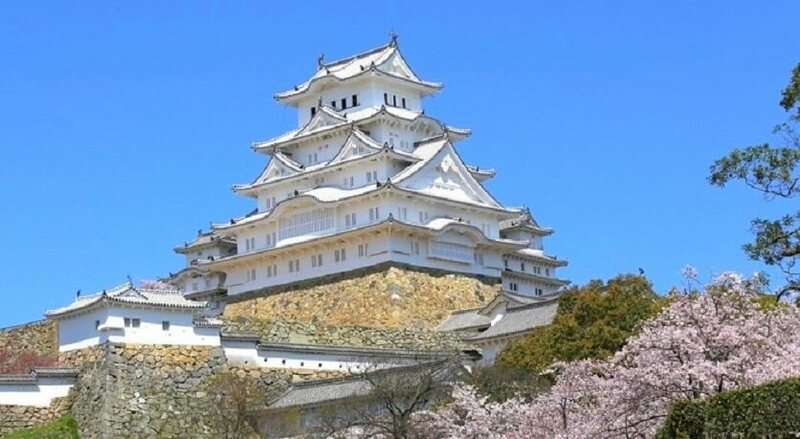 The larger keep shines white and you can find the true beuty of the castle likened to White Heron. 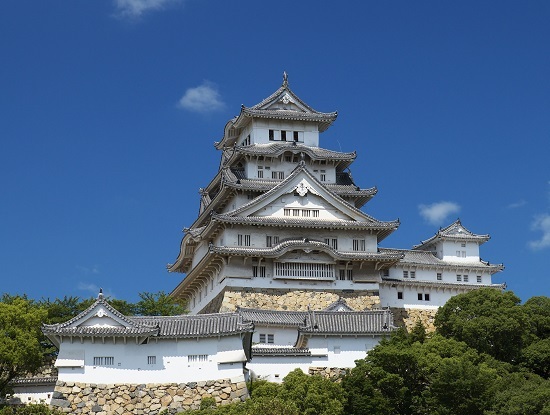 Himeji Castle has never been damaged nor burned over 400 years by wars or natural disasters, so that castle towers, gates, and turrets are specially in good condition. 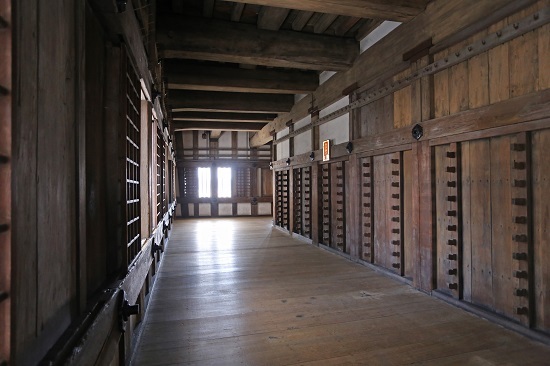 There are some Isiuchidana (rack with steps to attack enermy) and hanging armors remain intact inside the larger keep, and visitors could image the defective structure of the castle at that time. 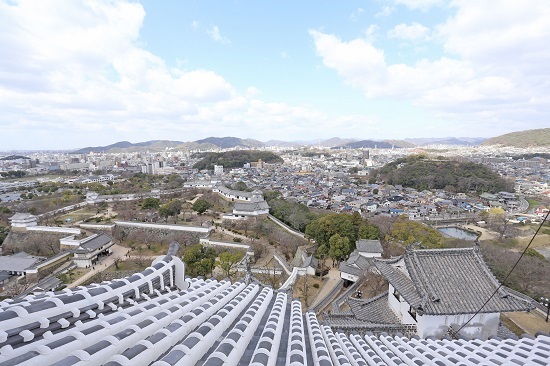 Visitors can see a magnificent view of Himeji City from the observatories at the top of the main tower. 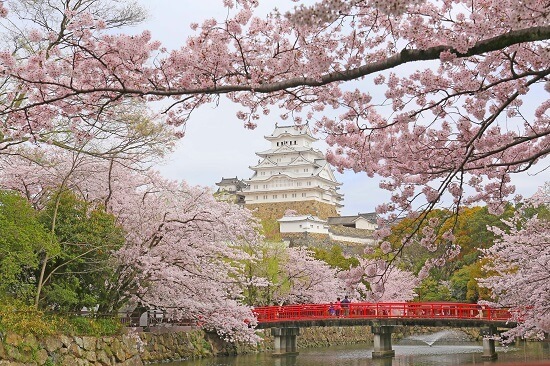 (Spring) Himeji Castle is highly popular as cherry blossom spots and over 1000 of cherry trees are planted in the castle. 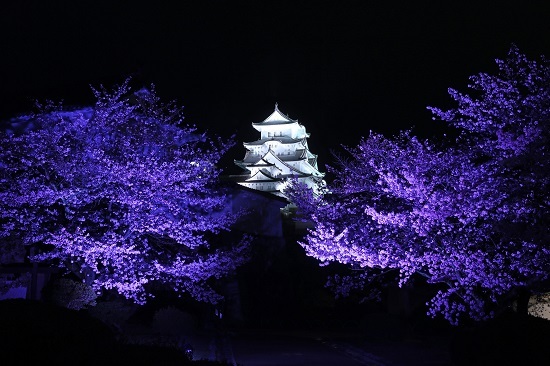 It will be really beautiful in full bloom when cherry trees are well matched with a solemn and refined castle tower. 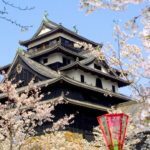 (Summer) White castle towers are set off against the blue sky and green trees. 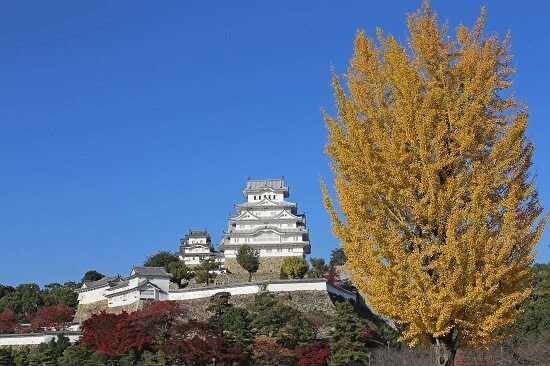 (Autumn) The autumn leaves against the castle are highly impressive and attracts visitors all over the world every year. 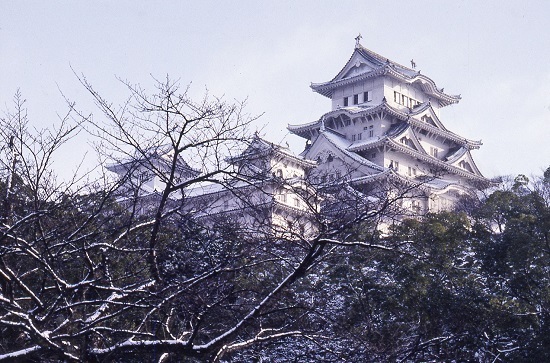 (Winter) Himeji Castle is covered by snow, which emphasizes the beauty of the white castle. 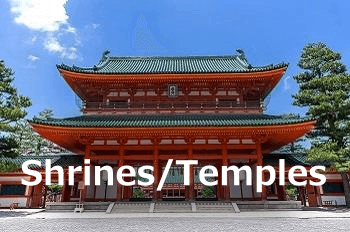 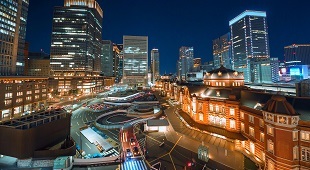 About 20 mitutes Walk from Himeji Station or Sanyo Himeji Station. 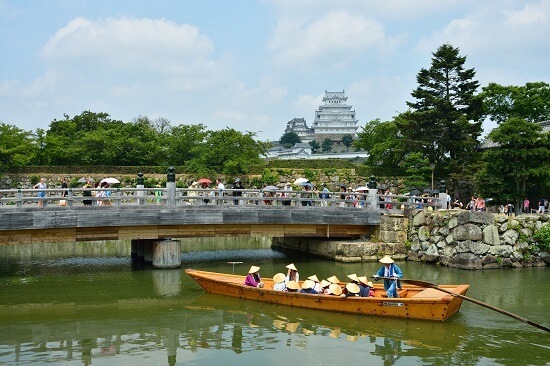 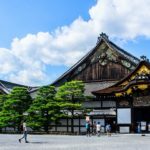 Nijo Castle (Nijo-jo) – the place facing the begining and the end of Edo Period. 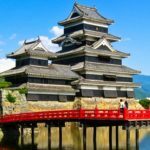 Matsumoto Castle – Japan’s national treasure which tells hard domestic battles to the present day. 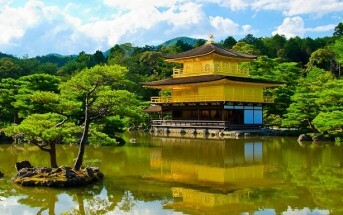 Kinkaku-ji Temple – The World Heritage in Kyoto, Japan. 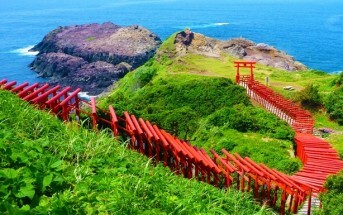 Motonosumi Inari Shrine – Torii (Shrine gate) is seemingly extending into the sea. 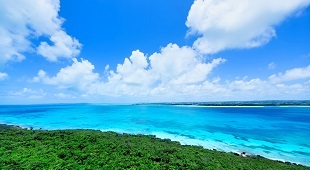 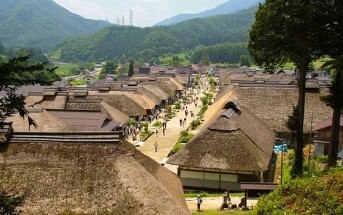 This is the original landscape of Japan! 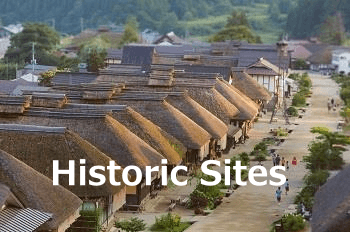 Ouchi-juku is the old post town remaining the townscape of Edo period. 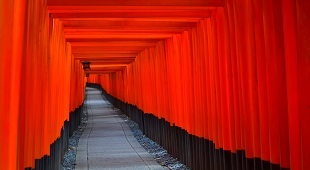 The word "TABIJIKAN" means "It's the beginning of a journey". 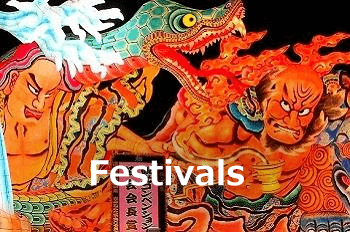 "TABIJIKAN - Travel Japan -" is the web magazine that transmits fascination of Japan through its culture, food, tradition, history and nature. 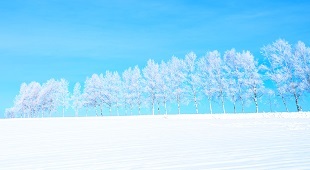 Copyright © TABIJIKAN All Rights Reserved.